Want it by Thursday 25th April? Order within 22 hours, 47 minutes and choose Next Day Signed For (Special Delivery) at checkout. 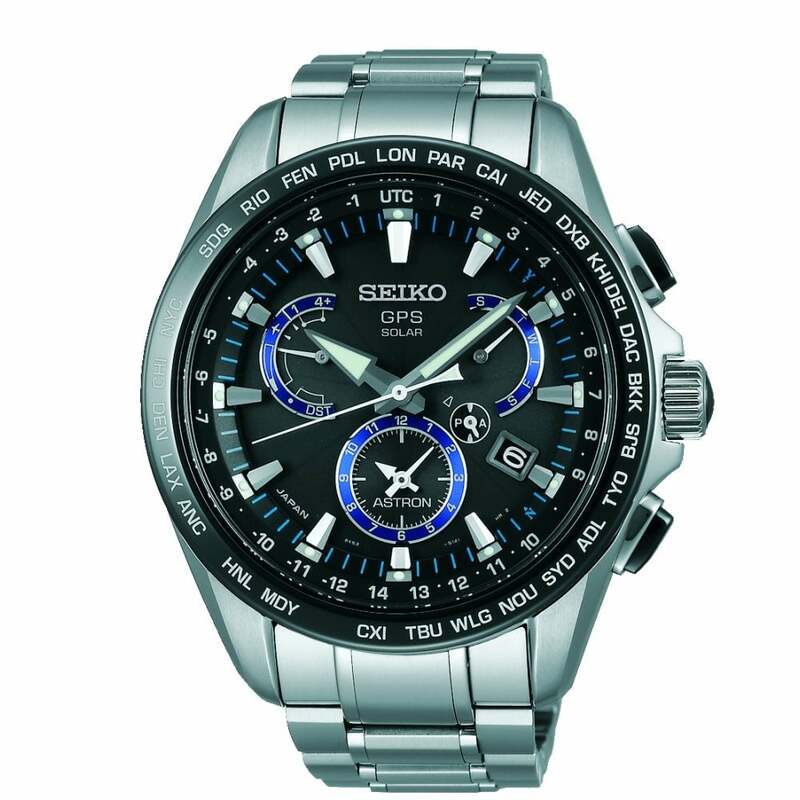 Gentleman's Seiko Astron Solar GPS watch with a titanium case, black ceramic bezel and black dial with blue accents on a stainless steel bracelet, sapphire crystal glass, date window at 4 o'clock and comes in official Seiko packaging and with a 2-year manufacturers' guarantee.The Astron range is the first GPS solar-powered watch, with the ability to connect to a GPS network and adjust the time zone at the push of a button! This watch also comes with a dual time function, perpetual calender built in, a daylight saving function and power save function.